A “sceptical” Aleksey Miller sees “no risks” for Gazprom in the development of shale gas energy in the US. The extraction of shale gas in the US is unprofitable and this “soap bubble will burst soon,” says the CEO of Russian gas giant Gazprom Aleksey Miller. “Currently, there aren’t any projects that we know of where shale gas production would be profitable,” Miller stated, adding that “absolutely all the boreholes” are in the red. There is an opinion that the whole thing is just a “soap bubble,” Gazprom head pointed out in an interview with Rossiya 24 TV channel. The US “is not a competitor” for the Russian energy giant, Miller stated. “We are sceptical about shale gas,” he said, as cited by Interfax. 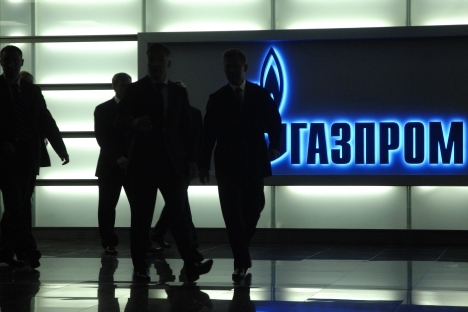 Therefore, Gazprom sees “no risks” for itself in the development of shale gas energy in the US. America still remains a country with a deficit of gas – it is the largest gas market and the largest consumer of this fuel, Miller said. According to experts, the increase in volume of shale gas production corresponds with the dip in natural gas extraction on US territory, Gazprom CEO noted. Apparently, one of the reasons behind the development of shale gas production in the US is to ensure the country’s “energy security,” Miller suggested. He added that Russia has exactly the same technologies. For instance, it extracts gas out of coal in Kuznetsk Basin in southwestern Siberia. “Undoubtedly, this is an achievement, but I wouldn’t call it a revolution,” the head of the oil company stated. Shale gas is an unconventional source of natural gas, stored in fine-grained organic-rich rocks. Different types of sedimentary rock contain natural gas deposits – such as sandstones, limestones or shales. Compared to conventional gas sources, shale reservoirs are more difficult to produce from because often the gas is trapped within thick, horizontal rock layers, in relatively low concentrations. The production of shale gas in the US began at the beginning of this century and has increased rapidly since. In 2010, shale gas represented more than 20 percent of the country’s gas production, according to the International Energy Agency (IEA). The development of shale gas production was prompted by soaring gas prices in the early 2000s as well as by technological advances – particularly concerning hydraulic fracturing. The agency estimates that by 2035 around 40 percent of the world’s gas might be unconventional, and shale gas will by far be the greatest part of it.